Kaboo Designs: Paper Smooches - Celebrate! Hello my crafty peeps! I'm here today to show off this adorable new die cut from Paper Smooches. Isn't he just da'bomb? I've had a blast guest designing for Paper Smooches and am thrilled to have had this opportunity! For this card I used the Unicorn die on three different patterned papers and then pieced him back together using all three. 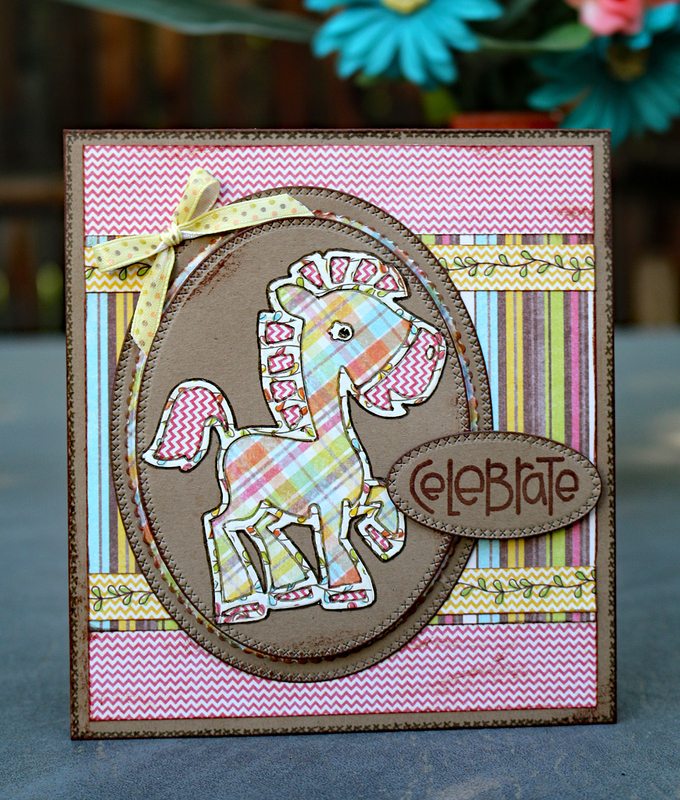 I added more patterned papers for the background and then used the celebrate stamp from the Sentiment Sampler set. Some faux stitching and inked edges add a little interest to it all. I love the way it came out. Thanks for stopping by today - I hope your day is filled with love and laughter. This is so cute. Everything matches perfectly. Loving the colours of your pretty card and that focal die cut really is sweet. It's lovely to see you at Stamping Sensations challenge, but we do need to see stamping as the focal element to be eligible for the prizes.